Deputies said he told them he tried to kill the victim because "the voices" inside his head told him to do it. 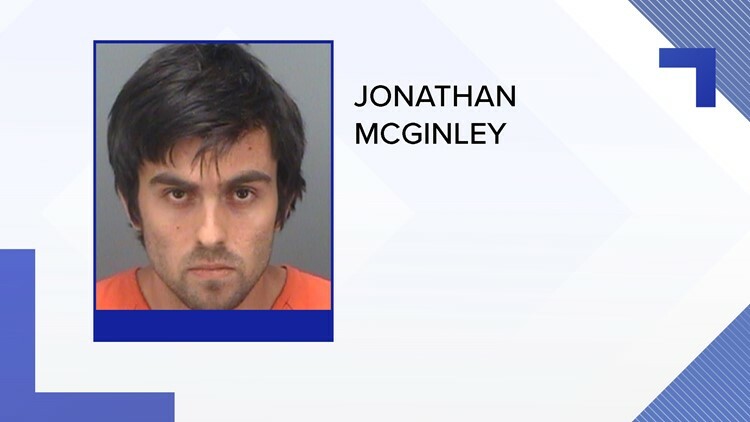 A Pinellas County man is charged with second-degree attempted murder after stabbing a woman 12 times, deputies said. According to an affidavit, Jonathan McGinley, 26, was returned home after not meeting the criteria for the Baker Act. Deputies say he entered the bathroom of his home with a large kitchen knife, where the victim was praying. He reportedly stabbed the woman 12 times in the chest, pelvis and legs. The wounds were non-life-threatening. Deputies took McGinley into custody. After being read his rights, he said he tried to kill the victim because "the voices" inside his head told him to do it.